Unfortunately, Christians often live their lives unaware that they are adopting non-Christian ideas, because they are too busy focusing on behavior in the first place. Worldliness is too often equated with what we say and do, rather than the battle of our hearts and minds that it truly is. And when Christians are too concerned and distracted by behavior on the outside, it is easy for worldliness to slip into our minds and take hold. 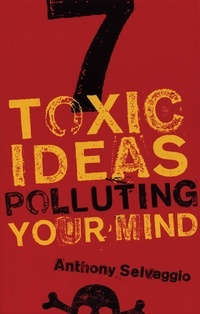 This book examines seven particularly toxic non-Christian ideas that cripple the modern Christian mind, exploring each idea clearly and understandably. Discussion questions are included to help you pinpoint these toxic ideas in your own thinking—and deal with them. Are these ideas already polluting your mind? Learn how to replace them with a Christian mindset.